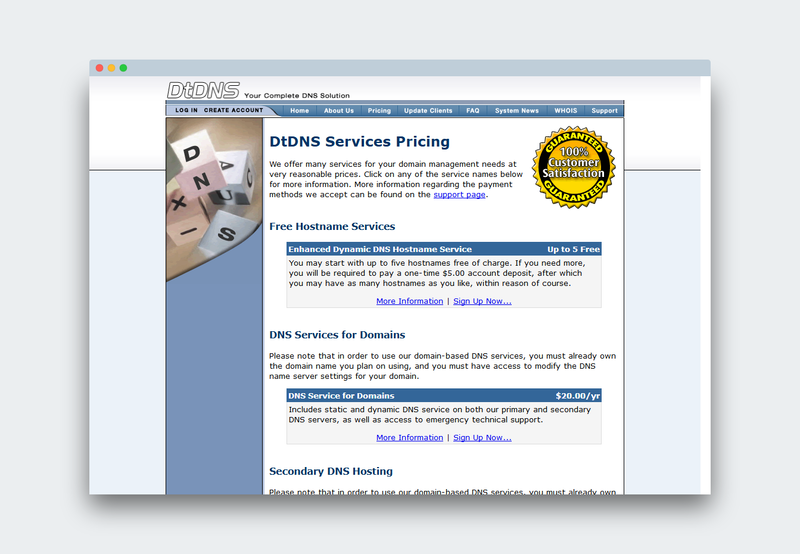 DtDNS was originally founded to provide services to the users left stranded by the original dyndns service's disappearance, ml.org. 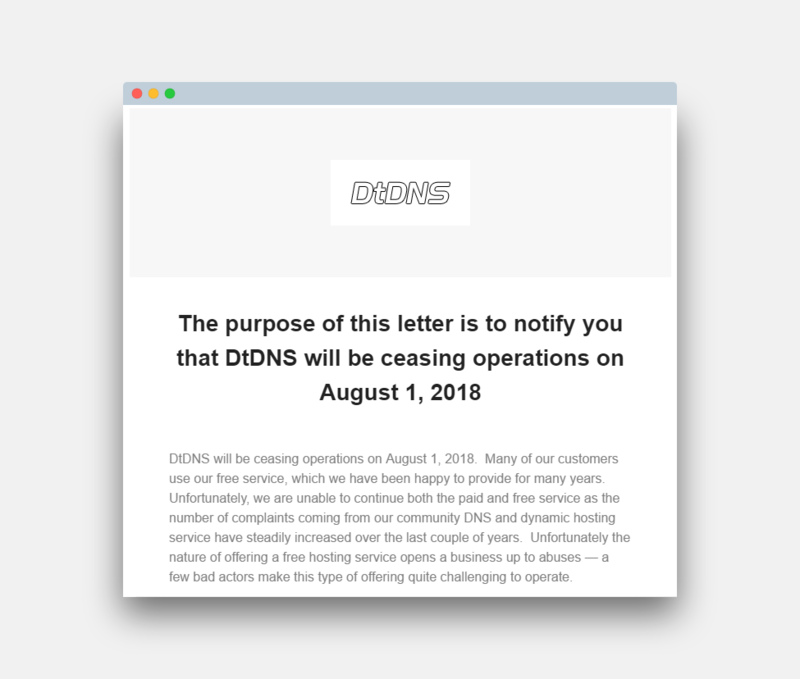 But the company announced its coming shut down on August 1, 2018, after over 18 years of service. Among the reasons invoked, the difficulty to maintain a free service in the face of abuses by "a few bad actors". DtDNS was powered by the industry-standard BIND DNS server running in three US locations: Washington, D.C, Seattle, WA and Dallas, TX. Up to 5 dynamic hostnames could be created with the free account, more if you paid a one-time fee USD 5 fee. 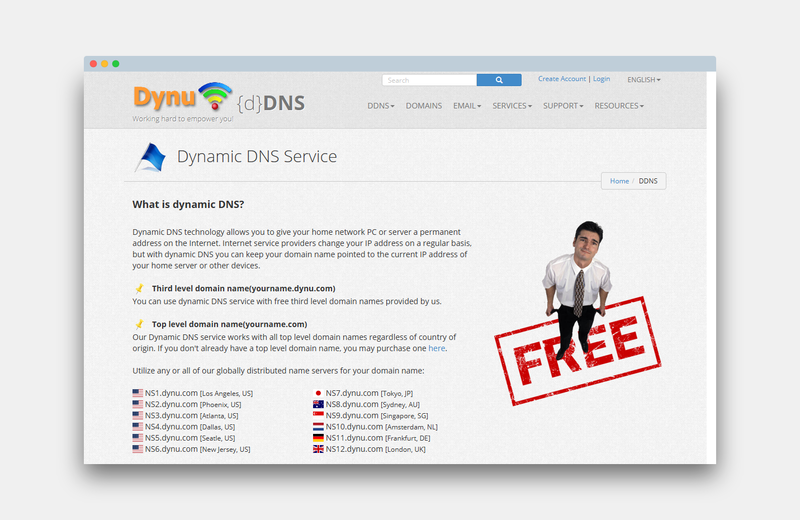 With the impending end of DtDNS, you may be looking for an alternative to the venerable free dynamic DNS service. 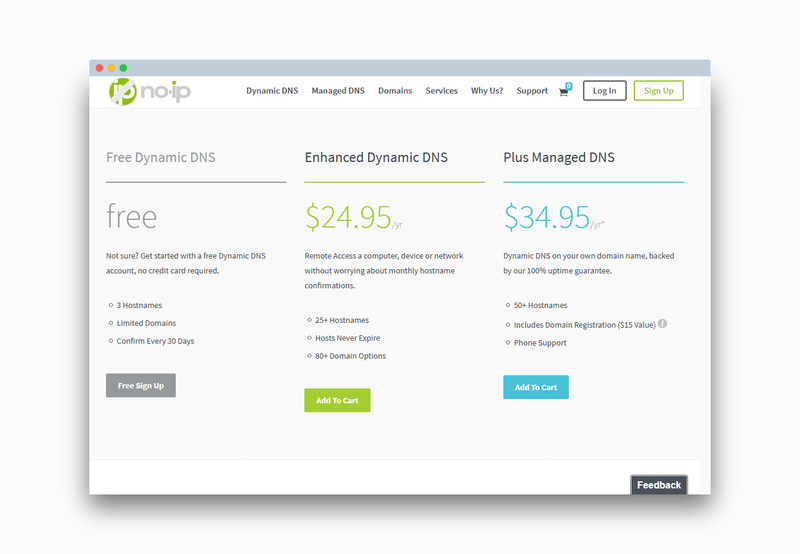 While DynDNS no longer offers a free tier, several other providers still do. 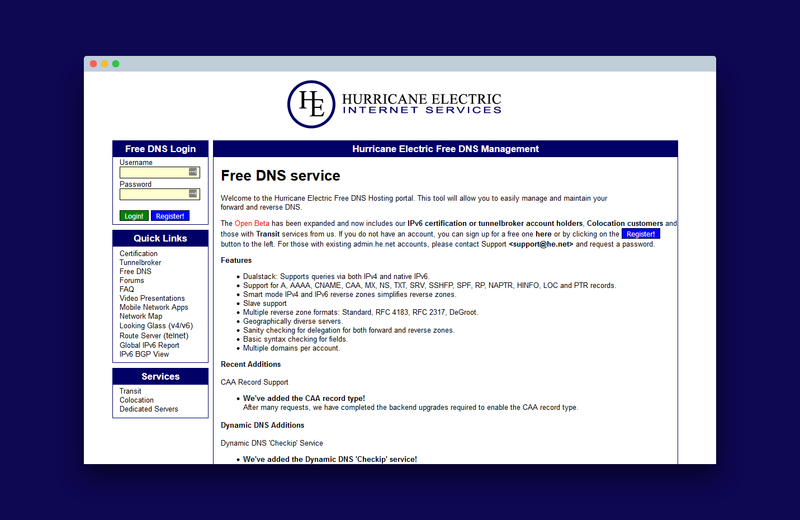 Hurricane Electric is one of the major worldwide IP transit providers. Chances are you've already used their networks without even realising it. 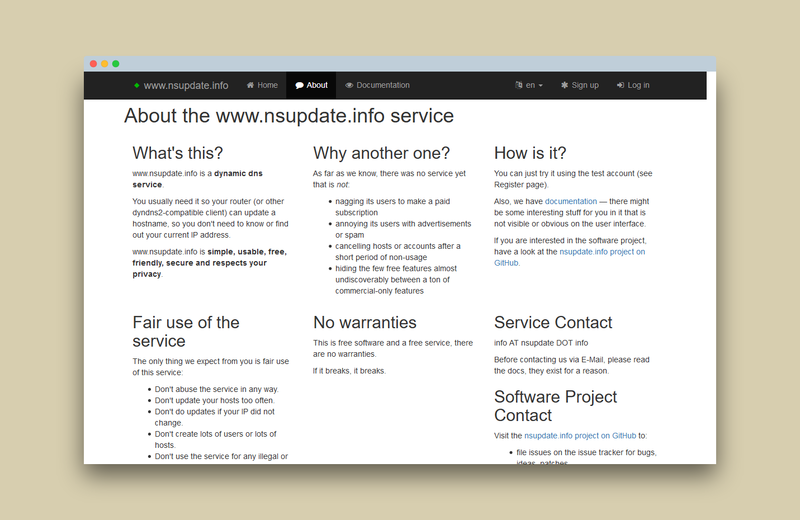 No-IP is not a newcomer in the dynamic DNS market as they were established in 1999. 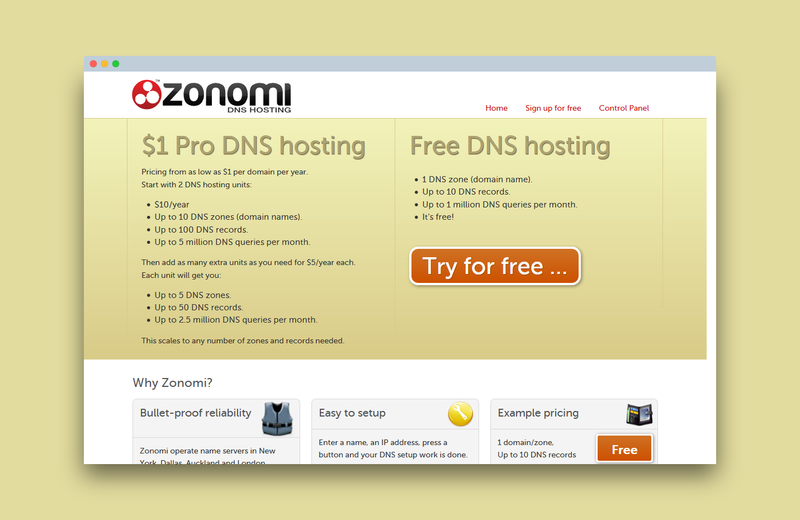 Their free offer includes 3 free hostnames, with the possibility to set up URL & Port 80 redirects. However, you have to confirm your hostnames every 30 days to avoid expiration. 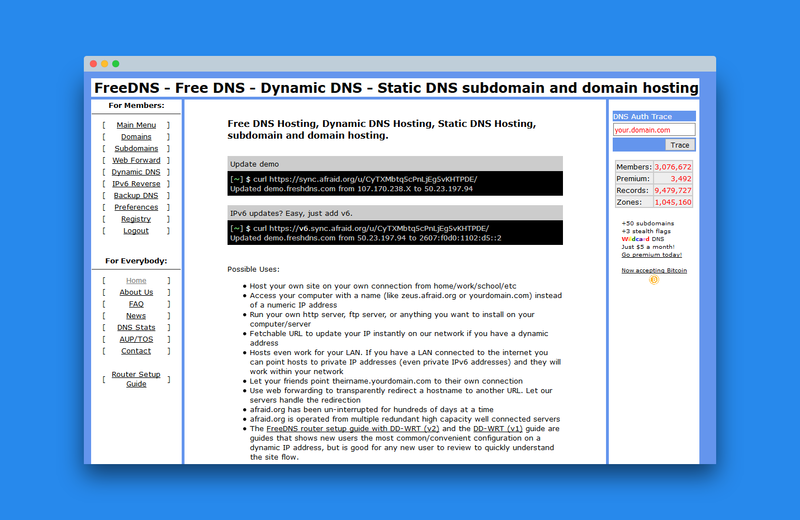 The list of domains you can set up your hostnames on is rather limited on the free plan, but you can extend it with their USD 24.95/year Enhanced Dynamic DNS plan: 80 domains to choose from, and up to 25 hostnames. 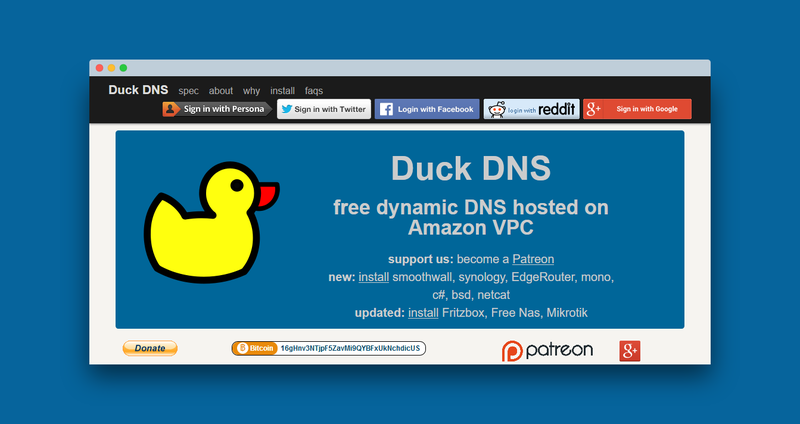 Moreover, your hostname won't expire - as long as you pay. 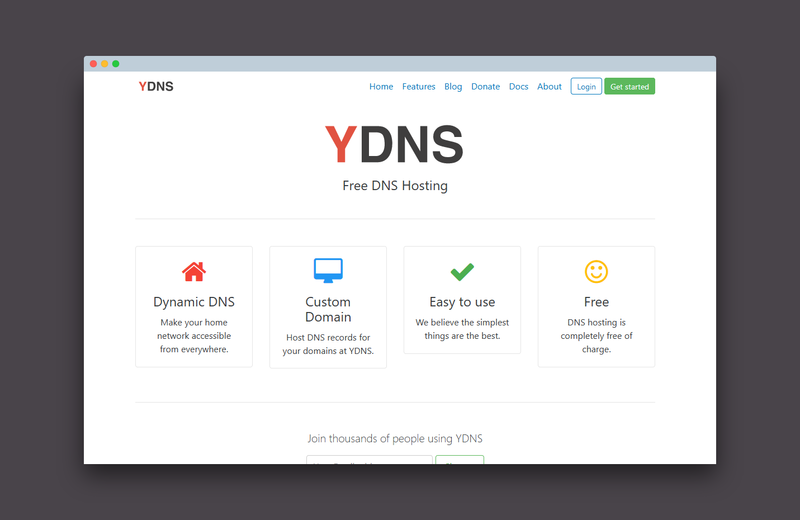 YDNS is another simple and free dynamic DNS service created by someone who needed one for a personal use, but decided to open it up to the world for free. 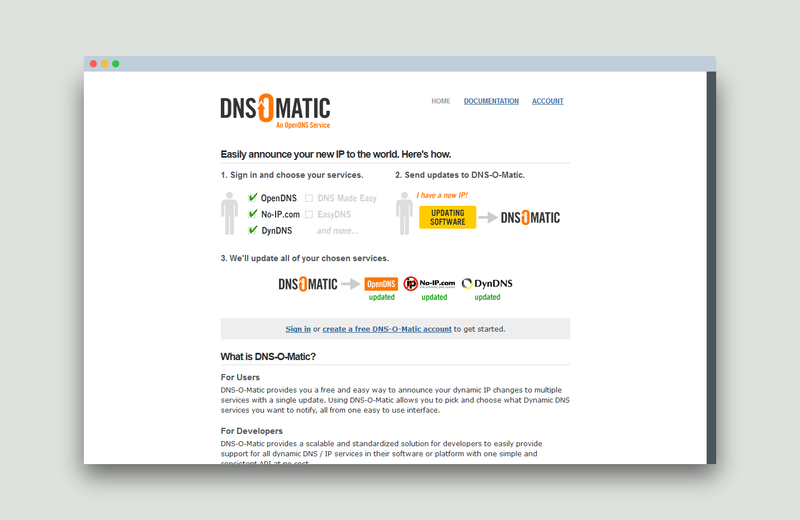 DNS-O-Matic is not a dynamic DNS service per se, but rather a service that synchronises several DNS services by announcing your new IP to them in a single update. For instance, it can update both OpenDNS for your home content filtering and your No-IP hostname for your homelab.